Ames-Dryden (AD)- 1 Oblique Wing, an examination air ship intended to explore the idea of a turning wing (1979 – 1982). NASA AD-1 was both an air ship and a related flight test program led in the vicinity of 1979 and 1982 at the NASA Dryden Flight Research Center, Edwards California, which effectively showed a flying machine wing that could be rotated at a slant from zero to 60 degrees amid flight. 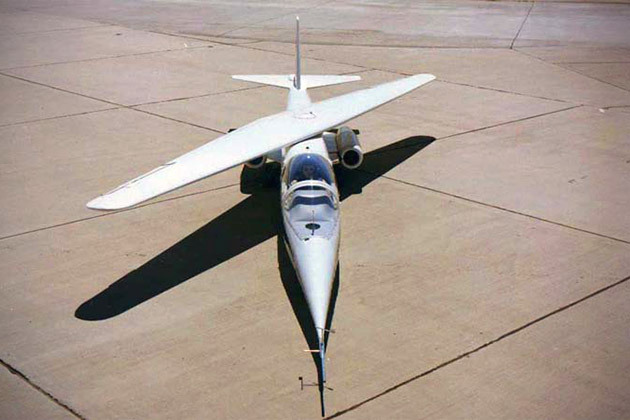 The remarkable angled wing was exhibited on a little, subsonic stream fueled research flying machine called the AD-1 (Ames-Dryden-1). The air ship was flown 79 times amid the exploration program, which assessed the fundamental turn wing idea and accumulated data on taking care of characteristics and optimal design at different rates and degrees of rotate.